Clinical Photobiology, European Centre for Environment and Human Health, University of Exeter Medical School, Knowledge Spa, Royal Cornwall Hospital, Truro, Cornwall, TR1 3HD, UK. 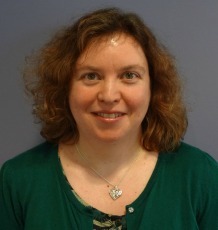 Dr Curnow is a senior member of the University of Exeter Medical School’s academic teaching faculty and the majority of her working week is dedicated to developing and delivering the School’s medical and scientific undergraduate and postgraduate programmes. She is currently Programme Lead for our MSc in Environment & Human Health and has become an experienced educator with a wide range of teaching, assessment and curriculum development skills. She is also an accomplished biomedical scientist with nineteen years experience of conducting photobiological and oncological related research. She is known worldwide for her photodynamic therapy (PDT) research and leadership. She is currently Secretary General of the International Photodynamic Association (2009 to present) and has previously been an Editor of an international scientific journal (2001-2010). She leads the Clinical Photobiology research team, which forms part of the European Centre for Environment & Human Health (ECEHH). The primary focus of their experimental and clinical research programmes is the causation, prevention and treatment of skin cancer. Non-melanoma skin cancer (NMSC) is the most common type of cancer in Western Europe. She has established (with clinical colleagues at Royal Cornwall Hospital), one of the top dermatological photodynamic therapy (PDT) groups in Europe, running an active standard PDT treatment service and a parallel clinical research programme with a view to improving the effectiveness and diversifying the application of this non-invasive light-mediated treatment of skin cancer and precancer.